We are looking for clever computer science graduates (June 2013) and/or programmers with 1 or 2 years development experience to join our team Derry/Londonderry. 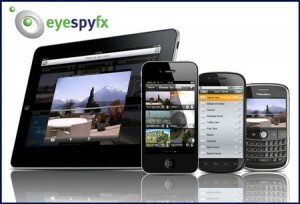 EyeSpyFX make enterprise strength mobile apps for security cameras. Working on the leading edge of the Internet of Things, Machine to Machine Technolgy & Mobile Services. We create Mobile Applications across a range of platforms including iOS, Android, Blackberry, Windows Phone & Java Mobile. These Apps work with our own homegrown cloud services & server-side technology to allow our users real-time mobile access to their security. We work closely with world leading security camera manufacturers & security system integrators. As well as creating our own in-house applications & services. And we have a number of exciting new projects that has us keen to recruit staff. Do you have a good foundation in Object Oriented Programming? Are you ready to learn new skills & use new technologies? Can you contribute new ideas & develop products with our team?